Exciting things are happening in the world of recovery in Devon. 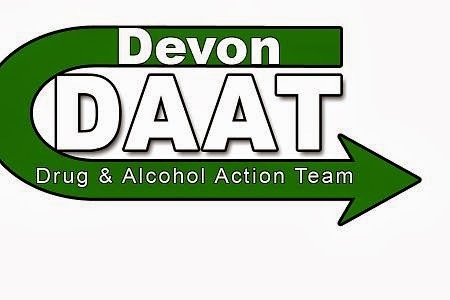 I was delighted to be able to attend the Devon Drugs and Alcohol Team's (DAAT) Exploring Recovery Event which was held on Monday 21st May, at St James's Park. The morning kicked off with an introduction to the day by Kristian Tomblin, manager of DAAT. We were encouraged from the start to think about our own definitions of recovery and try and identify which part of the recovery continuum our work belongs to. The continuum starts at one end with harm reduction and at the other end with a dependence free lifestyle. He also stressed the importance of developing a therapeutic relationship and said that we require a "whole systems approach" i.e. all those involved in the recovery process are united in their approach. Whilst I really enjoyed hearing these things I was also wondering how these ideals would fit into the bureaucracy that I notice is an inevitable aspect of any public sector entity. Simple advice at times of crisis - "support not rescue"
John Lilley got us to examine the correlation between mental health and recovery - "the mental health and recovery interface" and we were asked in teams to pictorially represent currents problems with this and how we would like it to look ("Rich Pictures"). Cue lots of interesting, metaphorical and frankly bizarre illustrations involving lots of bags of cash and shiny happy people. The second workshop I attended was the Devon Drug Service talk for which I was a teeny bit late having got lost in the maze of corridors. This was a straightforward chat about the recent changes they have made and challenges faced. The way drug addiction was handled in the past was to put users onto methadone, a "holding bay" - parking users and hoping things will change. However, switching to methadone does not deal with the problem of "me". Now there is more emphasis on psychosocial intervention and there are workshops in place to educate users. DDS are attempting to bridge the gap between treatment for addiction and reintegration into society. A couple of interesting points that came up in this talk was the importance of out of hours support for users who may need support at times of crisis. Also, DDS expressed that although the recent financial cuts have been unfortunate, it has prompted creative thinking in their approach. There were other workshops available - SMART Recovery, Soberlink, Alcoholics Anonymous, Howell Road Recovery Community and Narcotics Anonymous. Lunch was a total carbfest, and a very enjoyable one at that (pasta, quiche, sandwiches, cake). After lunch we were treated to an incredibly powerful poetry recital by Steve Duncan which brought tears to my eyes, such was it's powerful and poignant message. I think it was called "Welcome to My Judgment Room" and it was empathy, horror and shame inducing all at once. You can find a different poem recited on a youtube performance here. We all split off into groups of 10 for roundtable discussions asking 4 questions about recovery - what is the most important stage? What is going well? What are the gaps? And what proposal would we make to improve recovery? These were all fedback to the wider group and there was a lot of overlap in the proposals. People wanted greater collaboration between agencies and an improvement in access to the service users ("multi-agency case conferencing", "professional networking site", "service mapping", "central communications hub"). There was more poetry and some feedback about what delegates had written on the "What Recovery Means to Me" wall (legitimate graffiti!). Unfortunately, the event was running a bit behind and I had to slip out early due to a childcare catastrophe. What did I get out of it? Well, I did my fair share of SMART Recovery promotion, seeing as I wholeheartedly believe in it and there were some there, working in the addictions industry who knew nothing about it. In fact, I think that SMART Recovery deals with the integration into society aspect of recovery very well, which was a theme that arose more than once that day. There was also the promise of a shift in perspectives and approaches to addiction; more peer-led mentoring and educating, a client-led recovery system and the bringing together of the various agencies involved in recovery. I also heard mooting of the importance of therapeutic alliance and the relational aspect. Music to my humanistic ears. I did put my feelers out with regards to one-one therapeutic work as previous readers will know, I have a particular interest in the field of addictions, but there doesn't seem to be much in the way of funds for that purpose.